Good Or Bad Word Of Mouth? For simplicity’s sake, word of mouth marketing messages occur in one of two forms: positive or negative. To marketers’ dismay, negative word of mouth messaging propagates much like its cousin “bad news”. Companies, marketers and salesman only wish they could be so lucky to have the good news about their product spread so easily. Problem is in order to get the good news spread about a company or its products – they must be remarkable enough to talk about in the first place. Fact is few companies are. 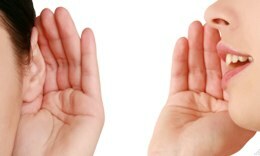 Those companies that are understand positive word of mouth marketing is woven into the company’s DNA or its not. I would guess for every fifty marketers familiar with negative word of mouth and attempts to stem it there might be two fortunate marketers from companies with “good DNA” versed in the creation and distribution of positive word of mouth. Negative word of mouth occurs as a result of market mediocrity and thus statistical probability. After a company reaches a sizable market share and number of employees, the likelihood that one of its employees and or its products will fail to meet customer expectations grows correspondingly. Hence, the potential for negative word of mouth. Today I experienced just such a case. A contractor was in my home programming remote controls that required the use of a laptop. What’s interesting about this particular case of negative word of mouth is I didn’t ask the contractor for his opinion about Dell or laptop computers for that matter, he just shared them with me – unsolicited. The problem for Dell and other large companies like them is that they rarely listen for let alone hear this type of customer feedback. Worse yet, they’re unaware why they won’t get the contractor back again as a customer. Large mediocre companies may incur negative word of mouth out of statistical probability but few if any companies can incur and ignore large quantities of negative word of mouth without suffering measurable consequences. This entry was posted on April 26, 2010 at 7:21 pm and is filed under Word of Mouth. You can follow any responses to this entry through the RSS 2.0 feed. You can leave a response, or trackback from your own site.